Choosing to undergo surgery can be intimidating for many people, and labiaplasty, in particular, can be a very personal and challenging decision. As such a private matter, women are often concerned about the safety of their vaginal rejuvenation, wondering if the procedure is worth the investment or carries more risk than reward. Having over 25 years of experience doing labiaplasties, our plastic surgeon, Dr. Steven Yarinsky, strives to educate patients so they are well-informed, learning about the many pros and understanding the potential cons of labiaplasty. Your most important decision is who you choose for your labiaplasty surgeon. When performed with proper care provided by an expert and qualified surgeon such as Dr. Yarinsky, labiaplasty is considered a safe and very effective procedure. However, like any surgery, labiaplasty comes with risks. This includes the possibility of infection, bleeding, and issues with poor wound healing. Most importantly for women, a poorly done labiaplasty by an inexperienced surgeon can leave them with visible and permanent scars and an abnormal appearance. Patients may be at a higher risk of healing complications if they smoke, take blood thinners, or have a medical condition that interferes with the natural healing process. Dr. Yarinsky takes every precaution to minimize these risks. 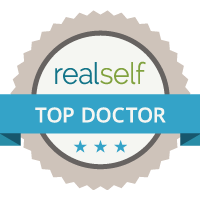 During the consultation process, he works closely with you to identify the areas of anatomy that are of most concern and determine the most effective and safest technique for your needs. Dr. Yarinsky will discuss in detail what to expect throughout the process, including providing detailed written and verbal post-operative instructions patients should follow to ensure they heal properly. 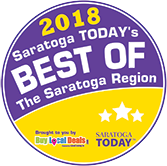 All surgical procedures offered at Saratoga Springs Plastic Surgery, PC are performed at our in-office surgical facility that is accredited by the Joint Commission, which offers the “Gold Standard” for safety and exceptional care in medicine. This is the same accreditation required by local hospitals, which indicates our commitment to providing you with a safe environment of care at our practice. When carefully planned and executed by an experienced plastic surgeon, labiaplasty has an extremely high patient satisfaction rate and low risk of complications. Dr. Yarinsky will go over all benefits and possible complications of labiaplasty with you in person, allowing you to ultimately decide if the procedure is right for you. To discover important qualities to look for in a surgeon, read our blog about how to choose a surgeon for labiaplasty.